Buy Belize Real Estate - CPC, your trusted broker in sunny Belize! 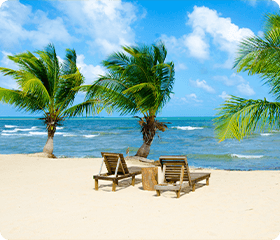 When looking to invest in the Caribbean real estate market, it's always wise to seek out brokers in Belize that have your best interest at heart. At CPC, we work with some of the industry’s leading Real Estate Agents. Belize does not have an MLS system, so having our Agents located through out the country with access to local information, within your neighbourhood of interest, gives us the ability to stay on top of current listings. We have real estate offices in all districts of the country of Belize and this allows us to ensure that we're always aware of all current real estate transactions, making sure you always get the best deals. The Service You Deserve, By Brokers you Trust! Our trained agents make buying Belize property safe and secure; and with offices strategically located in the most sought after parts of Belize – Belize City, Corozal, Cayo, Hopkins, Sittee Point, Placencia and Punta Gorda – you are sure to find the perfect piece of Belize real estate to suit your every need. Together, our experienced brokers and agents have over 125 years of experience working in the Belize real estate market and guarantee the best service in the Belize real estate industry. List Your Belize Property With Us! We have you covered. At CPC, we know that it's not always an easy task to find that perfect investment property and we understand exactly what it entails to lock in the right deal that will offer a high return on your investment. One thing's for sure - our Team will ensure that all your requirements are met, that you are comfortable with the end result, and that you are kept well informed every step of the way. Belize's magnetic pull to all who visit is one of the main reasons we ventured into real estate sales in Belize. 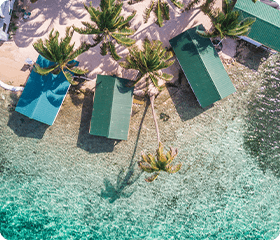 While a relatively small country, Belize guarantees land investment security and offers a wide cross section of opportunities and benefits to those looking to buy real estate. Though a tiny nation with only a mere 8,867 square miles, Belize offers a vast range of landscapes with the opportunity to own your own island, build a home from scratch, purchase an existing home, or live a carefree life under a dense jungle canopy - all within reach of urban areas and essential services.